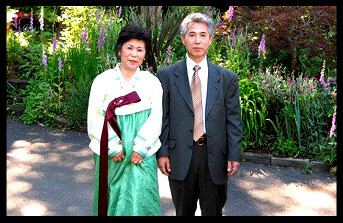 Andy and Young are the owners of Artistic Cleaners since 1986. It wasn't easy for this young couple who immigrated from from South Korea with two young children to start their small business venture in the dry-cleaning industry, but through all the challenges they faced, they also grew more ambition, and confidence in making their business successful by being the best they could be in the business. That’s why to this day they put such exceptional care and detail in every garment that passes through their hands. As small business owners they understand the importance of being in tune with your community and being able to provide reliable, timely, and great service to each and every customer. They feel they have truly achieved their American Dream with their small business and hope to pass on their success and achievements to future generations. *Photo taken during oldest daughter's wedding.